I’m the featured maker at Modern Makers in Kansas City’s West Bottoms throughout the month of September. 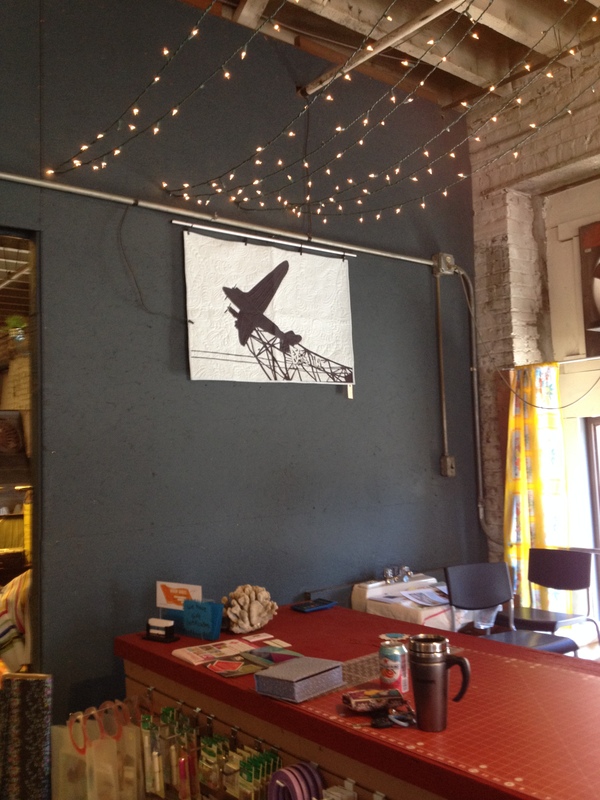 Starting today, you can see my work hanging in the shop at 1400 W 12th Street. 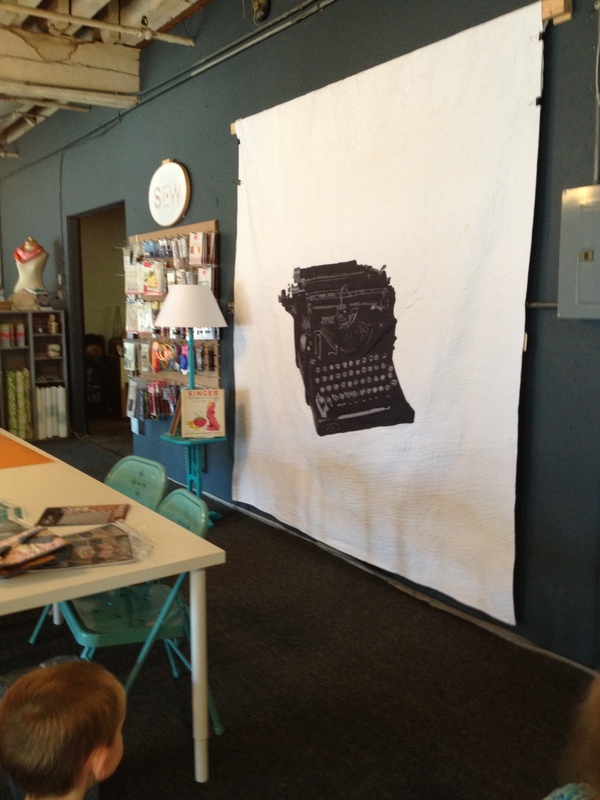 I am in love with this typewriter quilt. I hope you are, too. All the work shown at the shop is for sale. Pop on down and see what you can’t live without. Hours are Fridays: 9-5, Saturdays: 9-5, Sundays: 12-4. And a reminder… I’m scheduled to teach a class at Modern Makers on September 13th. If you’d like to come learn my method for doing these quilts, see the class schedule & sign up soon!